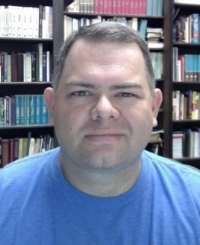 Paul Spurlin is the Connections Minister at the Palisades Church of Christ in Birmingham, Alabama. Paul has been involved in Ministry since 1993. He served for 3 years in the United States Navy in the Persian Gulf, he later graduated from Southern Christian University, Paul has a Masters Degree in Ministry from Faulkner University. Paul & his wife Stephanie have two kids, Laney, 11 and Tyler, 4. Paul is one of the creators of the AdventuresInMinistry.com App & Website. Paul serves on the board for AIMCON and Exposure Youth Camp. Paul is also one of the hosts on the weekly "Jon & Paul Show" podcast, We encourage you to go to AdventuresInMinistry.com or iTunes and check it out. Paul Spurlin, was born on September 30, 1972 in Cleveland, TN. But lived most of his life in and around Huntsville, Alabama. His wife, Stephanie, and Paul have been married since July 18, 1998. Stephanie is a graduate from the nursing school at University of North Alabama. They have a daughter Laney who was born on January 7, 2008. They also have a son named Tyler who was born on June 26th, 2014. Stephanie is the daughter of Phillip and Julia Hines, who live in Hartselle, AL. Phillip has been the preacher at the Hartselle Church of Christ in Hartselle, AL for over 38 years. Paul’s mother is Beverly Spurlin, who lives in Hartselle, AL. Paul’s father passed away in April of 2016, after being in ministry for over thirty five-years, died of multiple sclerosis. Paul, Stephanie, and the kids live in Trussville, Alabama and works with the Palisades Church.